WITH Coles and Woolworths caught off guard by the outpouring of "plastic bag rage" from disgruntled customers, they're probably asking themselves, "What went wrong?" Woolworths last week back-pedalled and offered the previously 15-cent reusable bags for free to help smooth the transition, while Coles opted to open all of its checkout lanes and bring in additional staff on Sunday. But still the customer complaints have poured in. "Please don't claim that not supplying plastic bags is a move toward being environmentally friendly when every vegetable is unnecessarily wrapped in plastic," Vanessa Paola wrote on Coles' Facebook page. "Do you really need to wrap four tomatoes or a head of lettuce?" Michelle Goodman wrote: "So you replace them with even thicker plastic bags that people will still throw away. Hardly a plastic ban." Nikki Withington added: "Can you please explain why your plastic bags have been replaced with more plastic bags? Don't tell me it's better because they're reusable because we all know not everyone will reuse them and they will all end up in landfill and our waterways eventually! This is a disgrace." The plastic bag ban has been implemented by all state governments across Australia except for NSW - where the major supermarkets have taken it upon themselves to remove the bags from their stores - in response to the fact that the single-use bags cause major environmental problems. In response to the growing backlash, the supermarkets adopted a defensive tone. Woolworths has repeatedly referred to a poll of 12,000 customers showing 75 per cent supported the ban. A survey of 2200 shoppers by research firm Canstar put support at 71 per cent. Deakin University's Centre for Employee and Consumer Wellbeing behaviour researcher Dr Paul Harrison the disconnect had to do with "the difference between an attitude and a behaviour". "People can say, 'I like the idea of having to bring my own bags', but people struggle with those things. You can say you'll do something but whether you'll do that are two different parts of the brain," Dr Harrison said. "Getting into neuroscience, the prefrontal cortex says, 'Yes of course I can do that', but the prehistoric brain says, 'I'll just keep doing what I've always done.'" Dr Harrison said the fiasco showed why polling as a means of making business decisions was "so problematic". "It always surprises me how these multinationals with sophisticated selling techniques don't really understand consumers at all," he said. "A good researcher or marketer would never ask people their opinion, because a lot of the time we don't really know what our opinion is until we're asked. Often what you have to do is testing - do an experiment and see how many people get angry." Consumer psychologist and founder of advertising agency Thinkerbell Adam Ferrier said the reaction was "actually a little scary". "Humans don't like change and this reaction is proving just how little change people are actually prepared to put up with," Mr Ferrier said. "I think the humble old plastic bag has become a symbol for people that actually hits home. If we want to change things then we'll all need to actually make changes. So no more free bin liners and poo picker-uppers, people." Dr Harrison said Woolworths and Coles had underestimated the scale of the backlash and had probably hoped signage informing customers of the upcoming change would be enough, but research had consistently shown signage doesn't really change behaviour. "If you're driving along and see a sign that says 'slow down' you don't slow down, but if you see a police car you do," he said. "That's because there's a direct link between your behaviour and the action. A sign doesn't give you a fine." The inconvenience many customers were now experiencing when they arrive at the supermarket without their own bag would do much more to change behaviour. "People don't like change, and people don't like effort," Dr Harrison said. "Research in this area shows no matter how you try to train people prior to a major change, people will find it difficult. People don't like to be retrained. The act of withdrawing the bags, making it more inconvenient, that does change behaviour." The other big problem with expecting customers to plan ahead and bring their own reusable bags, is that it flies directly in the face of a key industry trend - convenience. For years, supermarkets have been telling us that customers are making more frequent, spur-of-the-moment shops, such as on the way home from work. "Customers are shopping more frequently, buying smaller baskets of goods, and looking for a quick in-store experience," a Woolworths spokesman said in 2016 on the rollout of the Metro store format. Woolworths said the move to greater convenience store offerings was reflective of international trends. 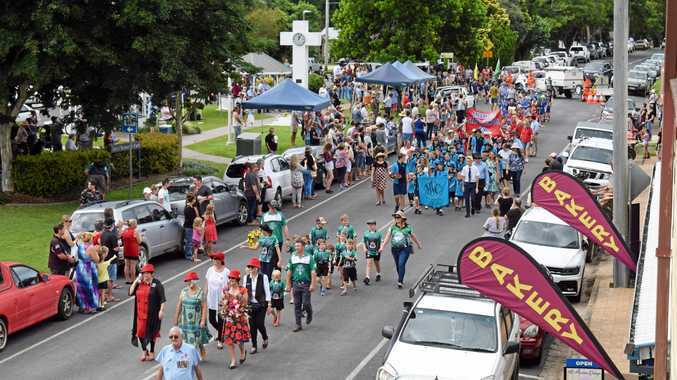 Writing in The Conversation, the University of Tasmania's Louise Grimmer and QUT's Gary Mortimer said the trend was here to stay. "Small stores appeal directly to a growing number of affluent Baby Boomers and Millennials who shop more frequently with smaller basket sizes," they wrote. "These shoppers demand personalisation, special services and quality products." Dr Harrison said the conflict was a case of "two different approaches" of a profit motive and a marketing position "crashing together". "From the supermarkets' perspective, getting people to do little shops gives them more profit," he said. "Consumers spend more on average across the week if they do little shops than if they do a very bland weekend shop. [But the bag ban] is a marketing and environmental response to an overuse of plastic. "The issue here is again supermarkets retraining people. It won't take long for people to remember to bring bags if there are no plastic bags available to them. I think what you'll probably see is people will take the bags to work." 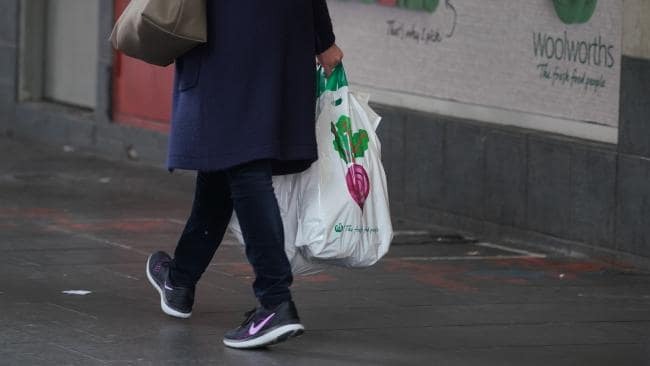 From Sunday July 1, single-use plastic bags have been banned in Queensland and Western Australia, bringing them into line with South Australia - the first state to ban the bag in 2009 - the ACT, Northern Territory and Tasmania. Victoria will ban plastic bags by the end of 2019. NSW is the only state standing firm, but most major retailers have opted to remove them from their entire store networks. Woolworths and its liquor brand BWS ditched the bags on June 20, while Coles, IGA and Woolworths-owned department store Big W went bag-free on Sunday. Wesfarmers-owned department store chains Kmart and Target, on the other hand, refused to implement the ban in NSW and Victoria on Sunday, saying only they would phase them out "by 2019".